BPI Sports Niagenix - 2-in-1 Multi Function Weight Loss Formula! 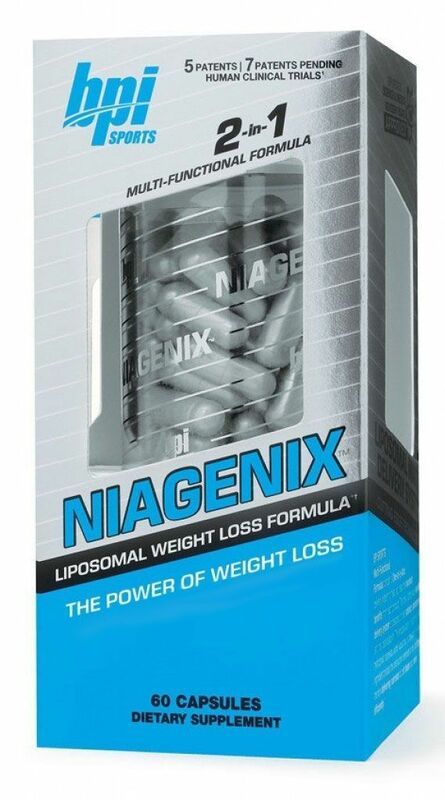 NIAGENIX is an Advanced Multi-Functional Weight Loss Formula designed to help you Burn Stubborn Body Fat, Increase your Metabolism and assist with Appetite Control. NIAGENIX also contains the Researched, that has been shown to help promote Cellular Production, metabolism, Endurance and cardiovascular health. NIAGENIX can help Burn Stored Fat for Energy, as well as provide you with Mental Clarity and Focus to help elevate your Performance in and out of the gym. Feel the effects of NIAGENIX from the very first dose with its Unique Liposomal Delivery System, that offers better absorption and bioavailability of key ingredients. BPI SPORTS’ Multi-Functional Formulas contain a One-of-a-Kind delivery system to help you reap the maximum benefits from each product. This new, cutting-edge liposomal delivery system is designed to help enhance absorption rates and oral bioavailability. This natural encapsulation of lypophilic and hydrophilic nutrients, within liposomes, helps each ingredient bypass the destructive elements of the gastric system, therefore delivering nutrients to cells faster and more effeciently.